A lot of fresh entrepreneurs are looking for small business ideas to invest in with little capital. This article will discuss fast growing small scale business ideas to invest in Nigeria, investment opportunities for Nigerians living in Diaspora. If owning your own business is your goal but you are not sure where to invest your money with good returns, I advice you read on. My email box is filled with a lots of request from fresh entrepreneurs on the fastest growing business opportunities in Nigeria. It is important for me to state before any explanations that there are untapped business opportunities every where in the world all you need to do is drill deeper. Nigerians living in Diaspora who take advantage of the devaluation of Naira and come home to start up a business will make many returns, however a lot will miss out on the opportunity because they are afraid of the uncertainty of doing business in Nigeria. If you are afraid of coming back to Nigeria to establish a company, here are five reasons why you should start up a business in Nigeria, hopefully this reasons will help quell that fear. Nigeria is the largest economy in Africa and one of the fastest growing economies in the world. Nigeria is currently one of the world’s major investment destinations. Little wonder why South African and Chinese companies are scrambling to invest in Nigeria. Tiger Brands, South Africa’s biggest consumer foods maker recently acquired 63.35% shareholding interest in Dangote Flour Mill Plc. Also recently, South African holding company Shanduka Group acquired a minority stake in MTN Nigeria for $335 million. Wal-Mart has moved heavily into Nigeria through its subsidiary, ShopRite. Nissan, a Japanese multinational automobile manufacturer headquartered in Japan has established an auto manufacturing plant in Nigeria. The list is endless. If you are in doubt of the information, please do well to Google it. The point here is that now is the right time to do business in Nigeria. Nigeria has a population of 162 million people and is predicted to overtake that of the United States by 2050. With a population as big as that, Nigeria is a very important market. It is big enough to absorb any product, provided enough marketing and awareness is created. Another positive impact of this population statistics is that it provides cheap labour. Nigeria is battling challenges such as falling oil prices, insecurity, infrastructural decay, unemployment, power failure, corruption, and fall in education standard, accommodation, etc. the government are battling these challenges. However, a successful entrepreneur will recognize the opportunities presented by these challenges and turn them into profitable businesses. I am currently profiting from the security situation in the country by providing a solution to a specific security challenge. Nigerian government unlike its western contemporaries does not choke investors. The government in a bid to encourage investors has implemented several policies aimed at encouraging local content production and small scale enterprises. Also various incentives such as access to loans or grants have been put in place to attract more investment into the country. If you are well positioned to take advantages of such opportunities, you will make something from it. A lot of fresh entrepreneurs doing business in Nigeria have the wrong believe that business will thrive only in Lagos, Abuja, and Port Harcourt. There are so many states cities in Nigeria such as Owerri, Aba, Onitsha, Nnewi, Kano, Ogun, Ibadan, Enugu, etc with tremendous opportunities. I have received a lot of calls from my foreign friends and Nigerians in Diaspora asking of the possibilities of starting a business in Nigeria while running it from overseas. The truth is that a business can be successfully run in Nigeria without being physically present but I strongly advice against it in the early phase of the business. The mistake a lot of Nigerians in Diaspora make is starting up a business and handing it over to someone to manage while they leave the country for ‘god knows where’. 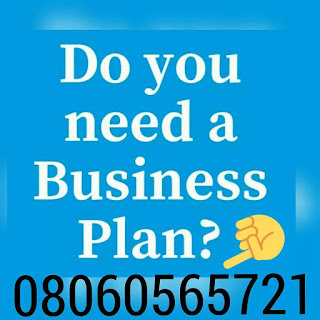 If you are really serious about establishing a business in Nigeria, then you must be willing to be on ground to run the business for at least one year. Secondly, do not do business with your family members or close friends; it usually doesn’t end well. I will advice you seek professional help, incorporate your company and make sure your back is covered legally. A successful entrepreneur must be skilled and competent. Competence is the by-product of knowledge spiced with experience while skill is the ability to do something well. Skill is developed over time through training. Don’t start a business simply because it was recommended. Invest time in learning everything you can about a business before you invest your money. When you are operating on a low budget, you may choose to have only you working for you. You can operate from your home, a little shop or an office. There is nothing wrong with starting small, I started out this way. But as you grow in business, you will need to employ competent hands and I advice that you shouldn’t wait till then before you plan towards it, start now. To successfully start up a business, you need capital. Capital here need not be a million dollars but you must have capital to do the very basics. If you do not have capital you can approach financial institutions to assist you. It is very important you avoid businesses that doesn’t provide goods and service that is in demand. Research your proposed business, and ensure that it is one that is lucrative before you venture into it. Take for instance cyber café businesses are no longer as lucrative as it used to be because of the shift towards mobile connectivity. Why go to a cyber café to access the internet when you can do it more cheaply at home? This nugget is especially for those hoping to rake in their first million naira profit in the early months of commencement of their business. It is very possible to rake in such large profits especially when so much capital and hard work are put into the business, but the truth is that it doesn’t always work that way. Success can never be achieved or attained by sudden flight; it is a product of consistent, unyielding effort. I advice you stop looking for just the most lucrative business to start, but also for the best business you are willing to stick to regardless of the surrounding circumstances. Live stock farming is an invariable avenue to create sustainable jobs and ensure food security in the country. Live stock farming may not appear as classy as manufacturing or being in the financial services sector, but it holds so many promises. Amongst live stock farming, one with the fastest growing business opportunities in Nigeria is catfish farming? Catfish farming is an emerging industry that has not been fully utilized. The Central Bank of Nigeria recently barred frozen products especially fish from accessing the forex window, in other to encourage local production. The implication is that local fish farmers are given comparative advantage. Why not catch on this opportunity now. The ban on the importation of frozen poultry products and fish has helped explode the demand. To be honest with you, livestock farming in general is a lucrative business in Nigeria and the trend is not dying anytime soon. It is very easy to start, and with a population of 162 million persons in Nigeria, there will always be demand for livestock products. The major challenge faced by young investors is the lack of technical know-how and the use of crude equipment. If you are patient to learn the workings of a live stock farm and nurture the business, you will reap immensely. You can choose to either venture into livestock breeding of animals or better still, you can stick to livestock feed production or equipment retailing. Agro-products exportation – Exporting Agro products is a path way of wealth creation. When you got to this point, I am sure the agricultural products you had in mind was cocoa, charcoal, groundnuts. Do you know that cassava flakes (garri) is an agricultural product. On Sunday 17th of January 2016, Linda Ikeji, a Popular Lagos based blogger reported in her blog of a man who bought two tubers of yam for $23.68 (₦7000) whereas such amount of money will get one 20-30 tubers in Nigeria. Have you considered exporting yams? You can become an exporter by simply registering with the Nigerian Export Promotion Council and decide on the specific product you wish to export. Examples of products highly in demand both within and outside Nigeria are Chili pepper, Mango, Kola nuts, Bitter Kola, Cassava flakes (Garri), Cocoa, Groundnut, Yam flour, Cashew nuts, etc. However, if you don’t have the capital or time to engage in agro-products exportation, you can buy and sell them within the country. Nigeria is blessed with a lot of mineral resources like Limestone, Coal, Iron ore, Bitumen, etc. However, the domestic mining industry is underdeveloped, leading to Nigeria having to import minerals that it can produce domestically. The Nigerian government has implemented several policies and incentives aimed at encouraging investors to invest in the mining industry. One of these incentives is waiver of import duty on mining equipments. The government is also revoking dormant mining lease. This act I believe, will spur the growth in the mining sector. If you have the financial capacity and a team, you should position yourself in this sector. Investing in the oil and gas sector is a very profitable venture. In January 2012, the federal government announced the partial removal of subsidy and with a long term plan to totally remove fuel subsidy. The implication is that petroleum product importers will now sell as they buy; thus bringing in competition and it is no hidden fact that majority of petroleum products consumed in Nigeria are imported. Building a private refinery and refining crude oil is another business that holds a lot of promise. With the total removal of fuel subsidy, investors will now have the opportunity to set up their own refinery and produce fuel. Are you among those that think the total fuel subsidy removal is a pipe dream? Then think again because in May 2013, Aliko Dangote raised $9billion for the setting up of a refinery; which will be sited in Ondo state. I understand that not everyone capital and technical know-how to invest in a private refinery. But you can still tap into the oil and gas sector by setting up a filling station, starting mini kerosene retailing depot or establishing a cooking gas retailing outlet. This is a viable alternative or addition to road and train transport. Nigeria has 8,600km of navigable inland waterways that provides business opportunities yet to be tapped. Notwithstanding this broad network of inland waterways, transportation still remains a challenge simply because investors are yet to tap into water transportation. A lot of countries such as Italy, Thailand, etc have effectively been utilizing their waterways as a means of transport; thus reducing the traffic congestion on the road. To start up a company that provides inland waterway transport services, all you need to do is to obtain license from the state and federal government, import or purchase some locally fabricated boats; and you are in business. Investment in the Mass Media is very profitable. The major obstacle other than start up capital is getting the license. It is argued that the mass media industry is saturated in Nigeria. While this can be said to be true in some cities like Lagos and Abuja, in several other parts of the countries, there are no private TV station, and one only rely on the government own TV stations; which are very incompetent, uncreative and unreliable. There are so many opportunities for fresh entrepreneurs and investors in mass media in Nigeria. One can choose to establish either a television or radio station. There is a huge demand for private security in Nigeria. The country is currently besieged with insecurity. As the government battle to improve the security situation in the country, individuals and corporate entities are now becoming aware of the fact that security is not the responsibility of the government alone; it is a collective responsibility. Hence, the increase in demand for security guards, bodyguards, executive protection professionals and security gadgets or devices. As an entrepreneur or investor, you can take advantage of the opportunities presented and setup security guard recruitment and training company, or an executive protection or bodyguard agency. Also, you can sell security products and safety devices. Nigeria has about 87,941 public primary schools and 7,129 public junior secondary schools. These schools enroll 24,422,918 primary school pupils and 24, 604538 secondary school pupils. It should be noted that these statistics does not include private schools or number of pupils. Each of these schools has a specific uniform or attire for their students. It will be very profitable to invest in sewing specialized uniforms for them. Also are you aware that other individuals and corporate organizations are in need of uniforms for their security personnel, staff, etc? There are also a lot or military (Army, Air Force, Navy), paramilitary (Civil Defense Corps, Police Force) and non-paramilitary (Road Safety, Traffic Warden, Kick against Indiscipline, Vigilante groups, etc) organizations in Nigeria that make use of uniforms. You can position yourself as a uniform supplier and make money from it. Nigeria has not developed fully in the area of infrastructure however with the rate at which massive constructions are currently on going; this is set to change in the nearest future. If you run a construction company oversee, or you have the financial capacity to assemble the needed team and machinery for a construction company; then this is a business you should invest in. Real estate business is one of the safest businesses to venture into because of the appreciating value of property around the world. Nigeria is currently faced with accommodation problems. I hear stories of people facing accommodation problems; not because they can’t afford it but because there is none within their choice of location, I have also met students in various universities and other high institutions who live under harsh conditions; not because they want to or can’t afford a comfortable place to live; but because there is no conducive apartment in close proximity to the institutions. If you are current with trend, you would have observed that most jobs in the United States are now being outsourced to countries like Philippines, India, China, etc. And as things stand now, a trickle of such outsourcing jobs are coming to Nigeria and one of such jobs is Article Writing or Ghostwriting. The business of writing is very profitable and easy to get into. If you have passion and skill for writing you can either choose to write from home as a self employed freelance writer or you can setup a company, employ competent writers and source for jobs online. Setting up your own call center agency and working for these big companies on contract bases is very profitable. One beautiful thing about this business is that you can always start small by becoming a call center agent from home, as it doesn’t require much startup capital unless you want to go into it big time, then you will need to employ competent hands. The labour market is filled with over five million unemployed youths in Nigeria. It doesn’t help that companies in a bid to avoid cost of conducting recruitment exercise and also to avoid employee’s claims and benefit, no longer employ full time in-house staff. They now use the services of recruitment agencies to employ people based on contract basis. This trend can be turned into a profitable investment. You can profit from this trend by setting up a recruitment agency and connect jobseekers to their dream jobs. You can also be a corporate executive headhunter and make money poaching competent staff from one company to another. If you do not have enough capital for this, you can setup a resume writing service from home and profit from the trend. Haulage and logistics is another booming business in Nigeria regardless of the economy. It is very profitable though it is management intensive. However, you can start with just a truck and see how it goes. You can choose to focus on hauling containers for clients from the seaports to their various destinations or better still, you can choose to haul products of specific companies such as breweries, production companies, etc. You can also haul perishable goods from farms and villages to the marketplace or you can haul specialty products such as frozen foods, petroleum products, gas, etc. If you have an interest in haulage and logistics, but you do not want to be bugged down by management requirements. All you need to do is to buy a truck and contract it to a Haulage and logistics company; which will in turn pay you a specified amount weekly or monthly based on agreement. This is a business is very lucrative. Here you provide transportation services to organizations that cannot afford to buy a vehicle in-house. Your clients in this case can be schools, religious organizations, NGOs, corporate bodies, etc. Some corporate organizations can’t afford an in-house transport system for its executives and staff, so this is where you come in. You are paid on a monthly bases or contract bases for the use of your transport services. Daycare is a place where babies, toddlers and young children are kept during the daytime while their parents are busy with work. Unlike anytime in history, more Nigerian Women are working at paid jobs or running their own small businesses. The result of this trend is a growing opportunity for services like daycare centre business. Also, demand for quality childcare service is increasing daily. The truth is that there are a lot of daycare centers existing but only a few are providing exceptional services; and parents that cherish their kids are never comfortable leaving their kids in a child care centre whose standards is not high enough to provide a healthy environment for their children. If you can come in with exceptional service and creativity, you will make money from this business. It is a business that you can run from home. Millions of Nigerians sit for examinations and tests yearly. These people are usually in need of some kind of trainings or tutorials. You can make money by being a provider of such training .Examples of trainings you can offer include skill & vocational acquisition training, corporate management skill training, etc. You can also conduct tutorial for individuals writing professional exams like ICAN, WAEC, JAMB, A. LEVEL, etc. Waste management is another business with so much promise. Nigerians are yet to imbibe the habit of proper waste disposal but states like Lagos have been doing a lot to encourage proper waste disposal and management. Now there are several businesses you can start within the waste management niche and these include waste recycling, waste disposal, junk hauling, organic fertilizer production, etc. Food processing business is another profitable venture to consider. The concept of this industry is simply to take raw food materials and turn them into finished products. There are a lot of food processing businesses you can venture into. Examples include but are not limited to Tomato puree production, Frozen food production, yogurt production, Vegetable oil production, Garri Processing, oil palm processing, groundnut processing, Fruit juice production, Rice milling, etc. One of the challenges Nigeria continually battles is lack of steady power supply. Even though the government has taken steps to deregulate the power sector by granting licenses for Independent Power Plants, granting a free import duty for the importation of power generation equipment and commissioning several power projects, this will never hamper the growing demand for alternative power generators such as solar energy, wind mills, Inverters, etc. You can either make money by importing and retailing these materials or you can choose to focus on installations. Crop cultivation or plantation farming is lucrative businesses. There are a lot of cash crops you can plant, nurture and forget; and they will keep providing you with steady returns annually. Examples of crops you can start a plantation around are Orange, Plantain, Kola nut, Oil palm, Cocoa, Cassava, Yam, etc. The manufacturing industry is currently touted as the major driver of Nigeria’s economic growth. The manufacturing sector is gradually but steadily gaining momentum as the spine of the country’s economy. This sector holds an immense investment potential. You need not venture into big time manufacturing; you can venture into small scale manufacturing of products that are in daily need. Products you can start manufacturing include Toothpicks, Tissue paper & Serviette, chalk production, candle, Match sticks, nylons and polythene bags, cartons, paper bags, etc. I get calls on daily basis from individuals who are interested in setting up a “sachet water” (Pure water) production plant. The simple truth is that sachet water or pure water business is saturated and the business is likely to die off very soon. The reason for this is the long term plan to ban the production of sachet or nylon water; so as to stem environmental degradation and checkmate blocked drainages. Once this bill is passed into law, the sachet water production industry will go into oblivion. I will advise that rather than risk being a victim of this yet-to-be proposed policy, it is advisable you venture into bottled water products and establish yourself as a brand. Have you considered investing on a bar or a night club? A lot of Nigerians and foreigners seek a fun night life. Why not catch in on the opportunity and invest in this area of the entertainment industry. Notwithstanding the ban in the importation of poultry products and fish in Nigeria, frozen fish and chicken are still being smuggled into the country through the border. A lot of people rather than go through the stress of killing and preparing a bird will prefer to buy ready-made frozen birds. With the right plan and a strategic location, you can rake in millions by investing in building and operating a cold room. In conclusion, I will like to point that the investment opportunities in Nigeria are not limited to the list above. With a little research, you will surely unearth more of these opportunities. It should however be noted that your capital is not all you need to succeed in the business. More important than your capital is an adequate understanding of the industry you intend investing in. Knowledge and experience are a must to reduce risk in investing. please i desire a business plan of small scale tissue paper production. Give us a call on 08060565721. It costs N10,000. Hi,I need a small scale business plan to make much income in a few period of time that i can start imediately not in the area of famerming and poultry, thanks. Hello Nelly, thanks for your interest. What business are you interested in? Please call 08060565721. Good day, guess you are doing great? Can you help me with a detailed “proposal” on investing in real estate development or any other lucrative venture and also draw out the investment frame work” on how fund will be invested”. Am a serving corp member, but i need a business ideal i will setup immediately i finissh my service by June this year.